Kundala is a picturesque place, about 20 km from Munnar on the way to Top Station. It is at a height of 1700 meters above sea level. 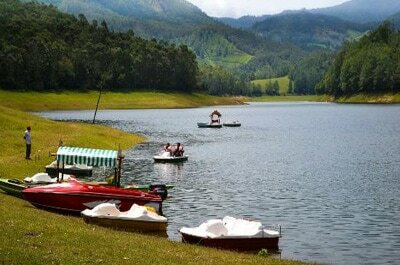 It is located at a distance of 20 kilometKundala dam, munnarers from Munnar. In Kundala, cherry blossoms appear twice in a year. The famous Neela Kurunji flowers which bloom once in twelve years, bloom in the hills and valleys around Kundala lake. There is an artificial dam in Kundala which is another major attraction here. It is Asia’s first Arch dam. The boating experience at this dam is a wonderful experience beyond words. Boating facilities namely pedal boats, Kashmiri shikkara boats and row boats are available on rent to make your trip more enjoyable. A Golf Course is also located here which belongs to Kundala lake, MunnarTata Tea Ltd. Aruvikkad Waterfall is also situated nearby Kundala. The Sethuparvathi dam built in 1946 as a part of Pallivasal hydroelectric project is a sight to behold. The Munnar Tea Museum is an industry and history museum situated in Munnar, a town in the Idukki district of Kerala in South India. 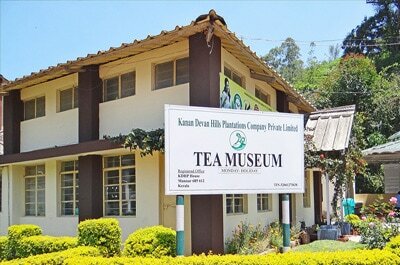 Tata Tea Museum is its official name, but it's also known as Nalluthanni Estate where it is located, or Kannan Devan Tea Museum.The tea estate is owned by Kanan Devan Hills Plantations Company (P) Ltd. (KDHP) – the plantation dates back to the 1880s. The museum opened on 1 April 2005. The tea museum preserves the aspects on the genesis and growth of tea plantations in Kerala's mountain region in the Idukki district on the Western Ghats at the boarder to the Coimbatore district of Tamil Nadu. Tata Tea opened the museum which houses curiosities, photographs and machineries, depicting a turning point that contributed to Idukki's flourishing tea industry. Set up at the Nallathanni Estate, the museum is a tribute to its pioneers who transformed Munnar into a major tea plantation centre of Kerala, from the rudimentary tea roller from 1905 to a fully automated tea factory. Visitors and tea lovers can see various stages of the tea processing – Crush, tear, curl - and learn about the production of Kerala black tea variants. Eravikulam National Park is a 97 km2 national park located along the Western Ghats in the Idukki district of Kerala in India, between 10º05'N – 10º20'N latitude and 77º0'E – 77º10'E longitude. See:map.It is the first national park in kerala. Eravikulam National Park is administered by the Kerala Department of Forests and Wildlife, Munnar Wildlife Division, together with the nearby Mathikettan Shola National Park, Anamudi Shola National Park, Pambadum Shola National Park, Chinnar Wildlife Sanctuary and the Kurinjimala Sanctuary. 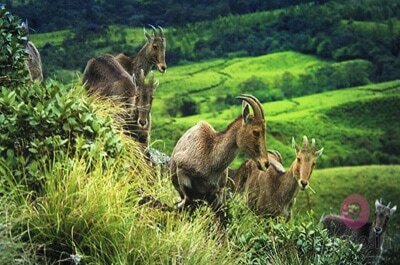 Eravikulam National Park is a UNESCO World Heritage Site.The main body of the park consists of a high rolling hill plateau with a base elevation of about 2,000 m. The terrain consists of high altitude grasslands interspersed with sholas. Anamudi, 2,695 meters, the highest peak in India south of the Himalayas is inside this park. Many perennial streams criss-cross the park. They merge to form tributaries of the Periyar river in the west and of the Cauvery River in the east. See:. Lakkom Water falls is in this region. 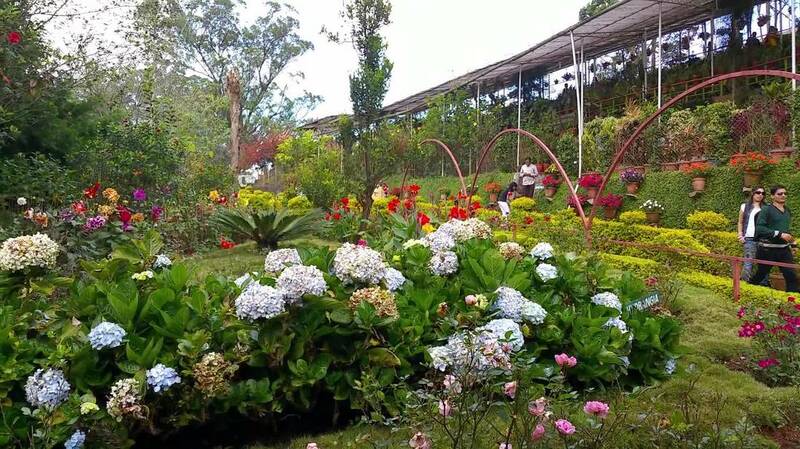 Rose Garden is a popular destination located in Mattuppetty which is about 13 km away from Munnar town at an altitude of 1700 m above sea level. Rose Garden is one of the chief attractions of Mattuppetty for its beautiful garden where different varieties and colours of roses can be found. Rose Garden, besides being a feast to the eye, also is a place for bird watching and trekking. Different varieties of birds can be spotted here. 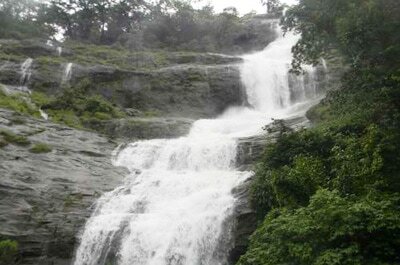 Tourists also visit the rivulets and waterfalls in and around Mattuppetty while paying a visit to Rose Garden. Attukal Waterfalls is located between Munnar and Pallivasal. It is a panoramic view but assumes a cascading and roaring beauty during the monsoons. It is one of the most attractive scenes that you can look at during your stay at Munnar. Attukal, 9 km away from Munnar, must be visited for its charming sceneries, glittering waterfalls and rolling hills is a feast for the eyes. The place is also ideal for long trekking and hiking but assumes a cascading and roaring beauty during the monsoons.Attukal Waterfalls is located between Munnar and Pallivasal. It is a panoramic view but assumes a cascading and roaring beauty during the monsoons. It is one of the most attractive scenes that you can look at during your stay at Munnar. Attukal, 9 km away from Munnar, must be visited for its charming sceneries, glittering waterfalls and rolling hills is a feast for the eyes. The place is also ideal for long trekking and hiking but assumes a cascading and roaring beauty during the monsoons.